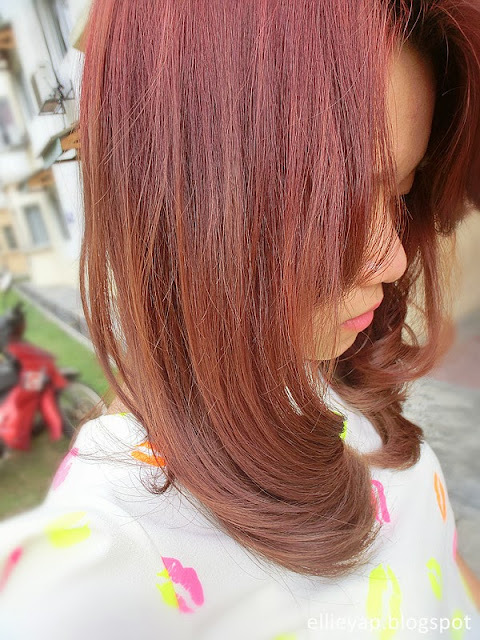 I think my red hair will be definitely an attention seeker indeed, because even though I'm walking on the road, people tend to look at me =.=''. I can't bear with if all my lecturer looking at me and I can imagine how I get attention from them. 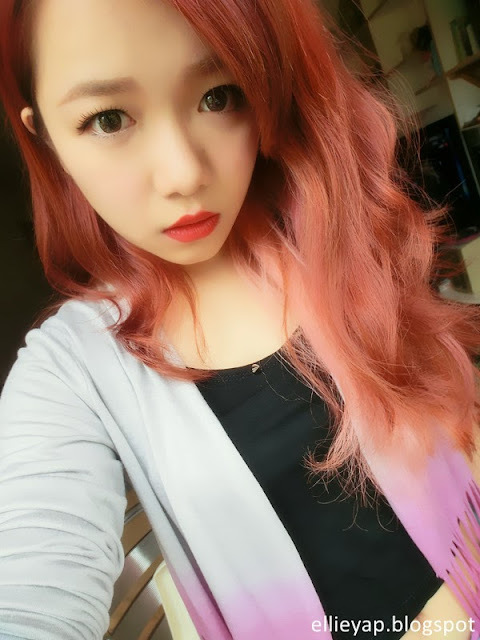 To lower the possibilities for all the "harmful condition", I have decided to be a good girl. This is a picture of my previous hairdo. 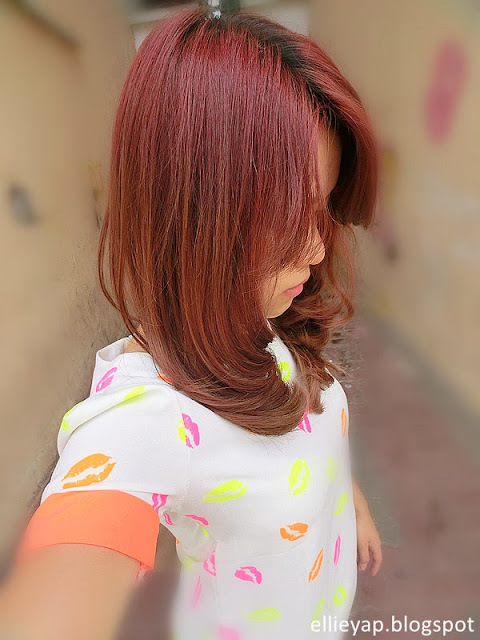 Long, curl and striking red hair with pink mermaid dye. The curl has become more natural and wavy after two weeks, it's kind of romance feeling instead of the first-curled-hairstyle, it's more towards cuteness of Japanese. Previous post, refer here. Then after curling for around 3 weeks time, I chopped my hair off to shoulder length because I found the bleached part of my hair damaged badly. I was kinda lazy to go to do treatment as Eda requested many times. 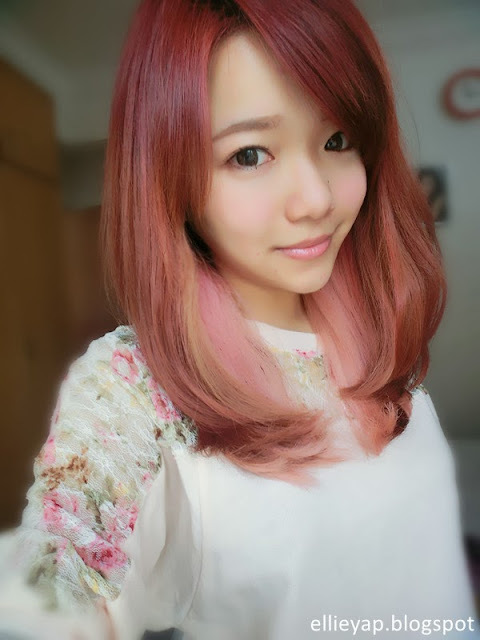 After chopping my hair for a week, I went to Q Hair Works for a new done ! 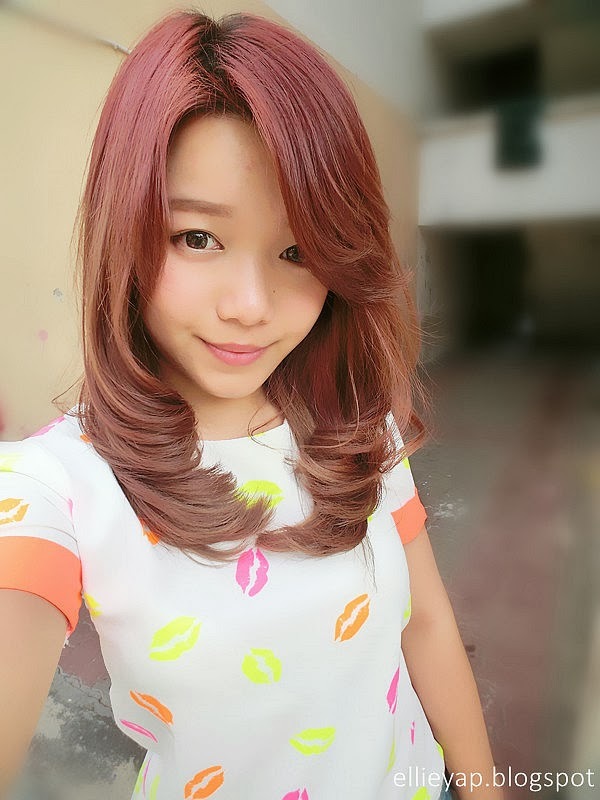 Here comes a picture with my new hair color! From the side. Obviously you can see the part which I bleached has gone. It has better color combination! Closer view for the colors. It's like Red- Deep bright Brownish Red- Ash Brown! Ombre colors on my hair! Forget about the hair root LOL, because I'm having kind of sensitive scalp, I requested not to touch up any colors on my scalp. By the way, Q Hair Works is having a great deal! 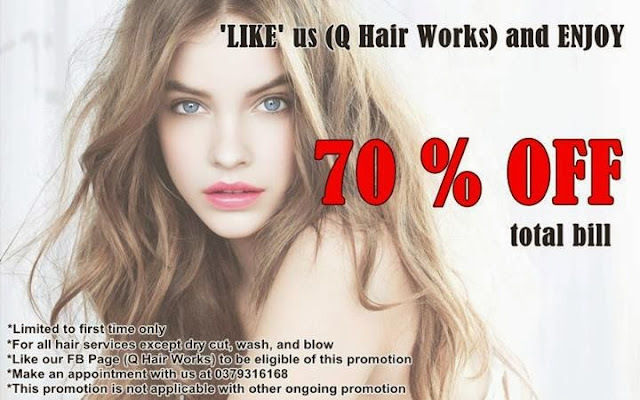 For person who LIKE (Q Hair Works) on Facebook, can enjoy up to 70% off on total bill for any hair services! DO check out yo! A whole new world to ESCAPE within a click. Pink N' Proper Bikini Launch! Fashion at your Fingertips X Shop with us!